Co-operatives | Octopus Creative Inc.
Modern co-ops totally tickle our fancy, and we love what you are doing for their member-owners and their communities. Co-ops have democratic processes and social responsibility practices in place that make you distinct from usual businesses. Your customers are more than just customers or clients; they’re owners, members and stakeholders. There’s also a big emphasis on giving back when it comes to co-ops: you’re always the first to get involved in your community, and we want to be a part of that. We think this is all super rad, and we want to build you a nice big megaphone so you can shout out your good deeds to achieve business results and profits for your member-owners. We also think that plenty of people can benefit from becoming a member-owner and having your co-op be a part of their lives, so we want to be a part of what the International Cooperative Alliance calls The Cooperative Decade. Some of our biggest clients are co-operatives, but we could always use a few more. We’d love to chat! Retail Co-ops are a big part of our company. Some of our most awesome-est clients are retail co-ops and we know exactly what you do and how your business is focused on results for your organization, and in turn, your member-owners. We would be proud to help you achieve your goals in the online world — from bylaw compliant membership applications and payments to online cardlock applications to liquor store digital marketing and much, much more. For real, we can do some pretty incredible work for you… and we’re super-passionate about the co-op model. Two of our founders worked in the marketing department of a credit union prior to starting Octopus Creative. So, needless to say, we get the CU world. We are proud to work with the financial co-operatives who work tirelessly to create opportunity for their members. Plus, we know that credit unions typically have much higher customer satisfaction than banks… and that totally floats our boat! Fuel co-operatives have a long history of using our resources wisely, for the benefit of a collective group and we know that having members who use your services makes for the economies of scale your fuel co-op needs. We’ve developed some pretty awesome digital programs for retail fuel co-ops, and we’d love to work with yours. Just like fuel, it pays to pool your resources. And whether you’re a supply or marketing co-operative you’ve got to produce and market food to fill the bellies of our communities. Really, agricultural co-ops invented the sharing economy way before Airbnb was a thing. There’s everything from fan-owned sports teams like the Green Bay Packers to community-funded nacho restaurants like Madison’s 1212 in Calgary, to video game companies that don’t have managers. The cooperative model is so flexible that it can do anything a top-down business can do and usually does it better, which is why we want to be involved with your unique co-operative. We’ve worked with co-ops from across Canada (in fact Jon & Ash were both in the co-operative sector prior to starting up Octopus Creative) and we’ve gotten used to how to work effectively with this unique structure. 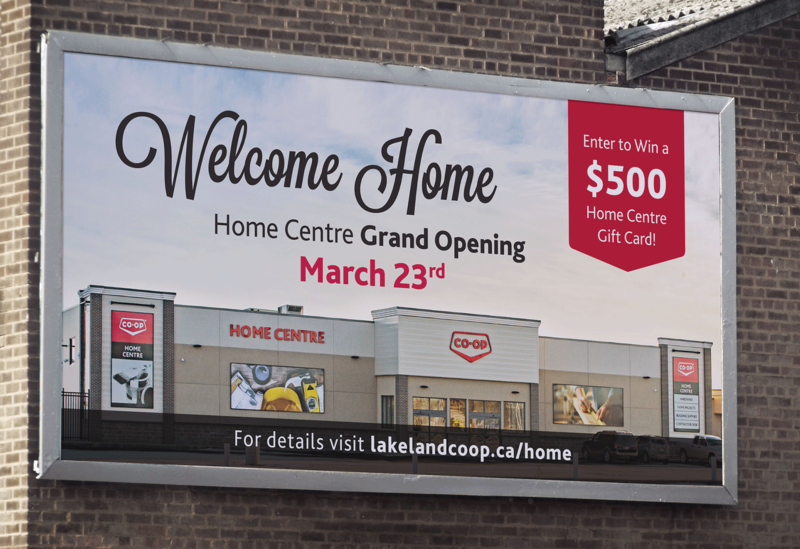 In most, regards a co-op needs the same things as any other business: a strong brand, a powerful web presence, social media profiles that engage members. What makes them different from a corporation is the democratic structure behind them, and how to work with and engage stakeholders within this structure. It’s pretty rare to find a Co-op that isn’t actively engaged in some philanthropic work, and we’re all about that. If you’re doing good then we want to shout it from the rooftops, so we’ll work with traditional, digital and social media to let everyone know just how great you’re doing.